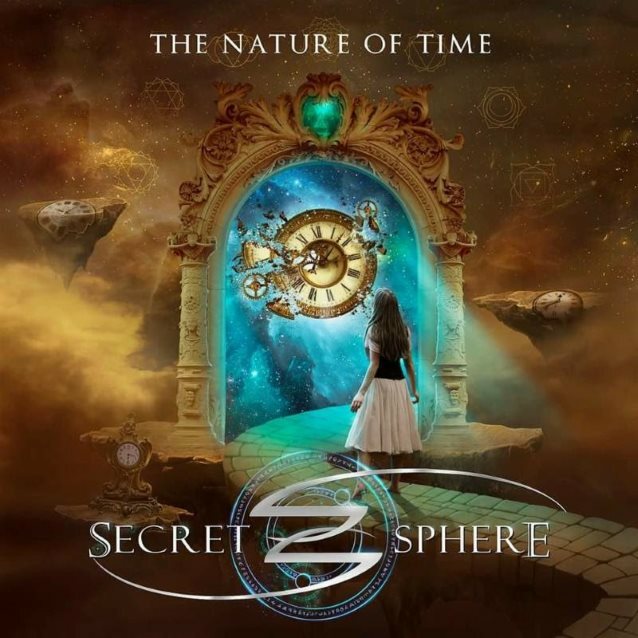 Frontiers Music Srl will release "The Nature Of Time", SECRET SPHERE's ninth studio album, on June 2. The new recording celebrates 20 years of hard work that started back in 1997 with the release of the band's widely praised debut album, "Mistress Of The Shadowlight". Since then, SECRET SPHERE has evolved and developed its unique style into what has become a trademark sound, making it one of an elite group of bands putting the Italian metal scene on the global map. 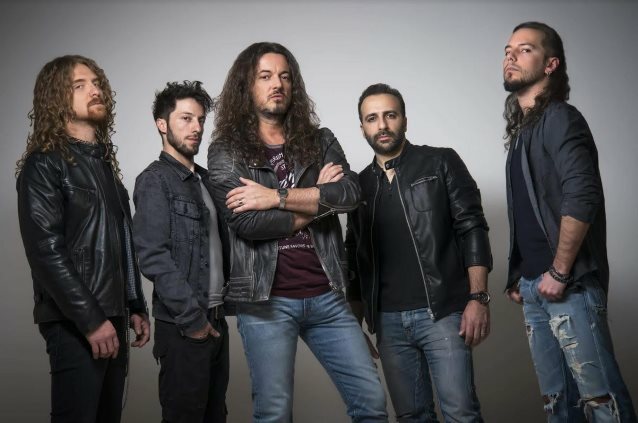 The addition of extraordinary singer Michele Luppi (also currently serving as keyboardist and background vocalist for the legendary hard rock act WHITESNAKE) in 2012 brought the band to the next level. This was evidenced by his first release with the band, "Portrait Of A Dying Heart", receiving wide fan and critical acclaim and landing on many metal journalists best releases of 2012 lists. "The Nature Of Time" proves to be the ultimate showcase of the band's skill in composing highly orchestrated songs and introducing their foray into a new age of heavy rock and metal music. High-class songs with amazing choruses, big vocals, majestic orchestral arrangements, and amazing, mind-blowing, guitar heroics are the order of the day. "The Nature Of Time" explores the "back-to-life" concept, an inward looking search of the self that can positively impact everyone's everyday life. States guitarist Aldo Lonobile: "The long writing process of this album has been a constant 're-living' of memories and feelings that started with only instrumental pieces that were put together only in order to vent my then current state of mind: a way to express emotions purely, without any kind of 'holding back,' so to speak. I then talked to Michele and we decided these were the perfect basis for a new SECRET SPHERE record"
Adds Luppi: "What can I say about this album? We spent a few months writing songs in a way that opened the doors to our new age of heavy rock... definitely a new beginning for each member of the band, a new approach that got inspired by the concept of the album itself. "It's not easy to open and talk about love and kindness. We chose the most direct way, no masks, only passion, energy and light guided each note leaving any kind of fear behind. Eventually, with time, we became US, not individuals... THIS IS US. Some of these songs earned a very special place in my heart."